Managing the Nasa for Pocket PC online shop from designing and developing issues, Adding new products in the shop, creating web graphics, editing scripts, web master tasks and online marketing. Managing (phpBB2 based) Nasa for Pocket PC forums are my duties. 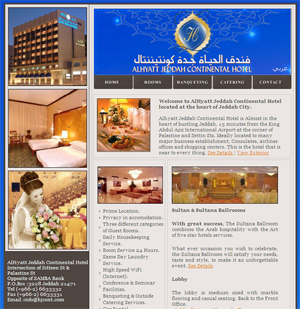 Alhyatt Jeddah Continental Hotel is a famous 4 star hotel in Jeddah. I designed and developed a full CMS for this website using ASP 3.0, Ms Access and Dreamweaver. I Developed Dynamic photo gallery and Full 360 Degree Tours of Hotel Rooms and Banquet Halls. I also developed website for AbuZaid Group, Alhyatt hotel is hospitality department of AbuZaid Group. 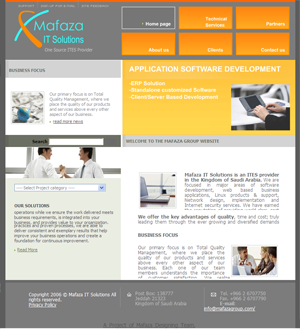 MAFAZA IT Solutions is an ITES provider in the Kingdom of Saudi Arabia. I designed its website in one week time. I served as Designer, Developer and Web Master at Mafaza Group. 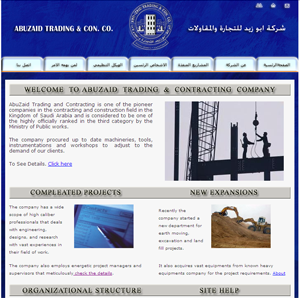 I have also developed website for Abuzaid Group. Abuzaid Construction Company, Abuzaid Food and Beverages and Perfums company. A VB 6 application can manage all the record of a computer lab i.e. Hardware components & software’s, It can handle damaged stock, reparable stock. 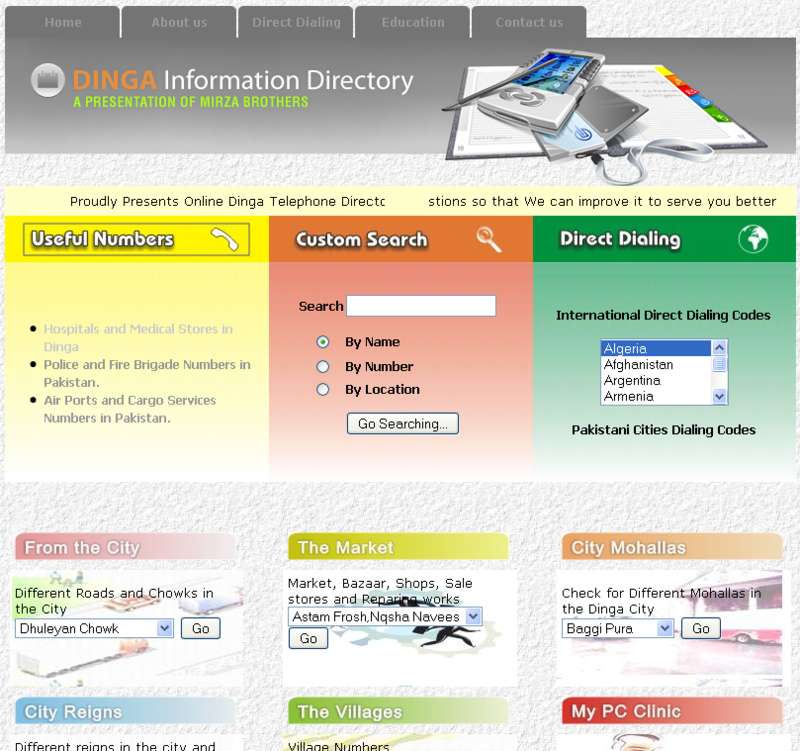 It contains Customized reports and a secure login system. 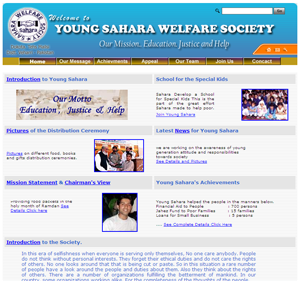 A website for “Young Sahara Welfare Society Vehari”. Membership facility Developed using ASP 3.0, Dreamweaver, Corel Draw, Adobe Photoshop and Swish. I have also developed website for me and My Family, my cousins, childern and our tours. If you like to get my services for Design / Development of a site please check my Web Design page. I was looking for some stuff/details on Afia Siddiqi and while searching i came across ur website. it is really nice and impressive. keep it up. Hope to be able to contribute something soon!. I just wanted to introduce my self, don’t have anything else to write. I need some help widgetizing my blog theme. I have no designing skills etc…….. can you help please??????? Could you kindly send or notify me the address of your Islamic calligraphy photos. Would appreciate it much. Thank you Shad Khan. What kind of help you want from me. i am doing my projcet in UNIV in UK i am learn PHP my SQL but i may get lost so i need sum supoort if i needed ? One thing bro. why u not write something about “how to tag a Blog, Video, or Picture on the web” i realy need about it….becasue i tag something but it hardly appear and most of time not when i search…. Superb Yasir Bhai, Superb & Fantastic Jobs Done!!! Thumbs Up!!! Me too live in KSA (Riyadh). Dear Bro, If you send your mobile or email to contact & get some help, then I’ll be most thankfull to you! Yasir Bhai, I’ve got your email from services (subpage), Thanks,,, but if you send your Mobile no. by email, it’ll be so nice to talk and meet you…..
MORE THAN ### 500 ### PROFESSIOANL AND EXPERIENCED MALE AND FEMALE TEACHERS (all locations, all subjects) ARE OUR MEMBERS. The mission of JTA is to provide effective tutoring services with excellent results in an inspiring, encouraging, and supportive learning environment. Testimonies of our students and their parents indicate that student outcomes exceed expectations. Students and parents also agree that our tutors provide the needed foundation for academic confidence and growth. At JTA, we achieve our most important goal when our students become confident and capable learners, now and in the future, with less stress and more success. Jeddah Tutors Academy is committed to its students’ success. Our goal is to facilitate learning by matching students to our professional, highly skilled and qualified tutors. Our tutoring services are offered to students of all ages and backgrounds as tutors and students can set their own schedule. Jeddah Tutors Academy is a group of diverse educators consisting of graduates, teachers, professors and many other professionals who have years of experience in individual or small group tutoring. These lessons are taught to children, teenagers and adults. Our tutors are happy to offer you their tutoring skills and support. TEACHERS ARE FROM UK, USA, CANADA, AUSTRALIA, FLIPPINEs, PAKISTAN, INDIA AND OTHER COUNTRIES.